SEIA’s Mike Mendelsohn explains how solar developers can expand the market to serve more customers. Denver has been working for several years to make solar available to low-income neighborhoods. Expanding the solar market to lower-income individuals and the businesses and nonprofits that serve them remains a top priority for the solar industry. They key is to figure out how. Historically, participation in the solar economy has primarily been enjoyed by homeowners and large corporations with good credit. However, a valuable success story out of Colorado deserves to be highlighted and considered for replication. There, the Housing Authority of the City and County of Denver (informally known as the Denver Housing Authority, or DHA) has been working for several years to make solar available to the low-income neighborhoods it serves. According to Chris Jedd, portfolio energy manager for DHA, there are two sets of questions that should be asked of those interested in going solar: What type of housing are they in? And who pays for the energy? 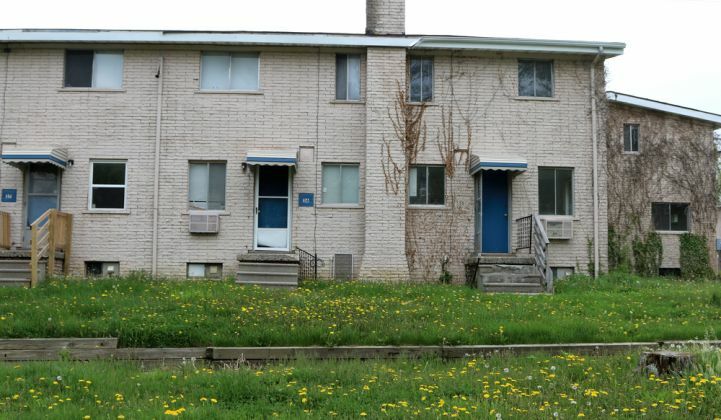 Public housing -- Generally owned and operated by municipal housing authorities and funded with annual operating subsidies from the Department of Housing and Urban Development (HUD) to pay for expenses such as operations and maintenance, capital improvements and utilities, including electricity. Section 8 -- Another HUD-supported program designed to facilitate home affordability through two means: a voucher program administered by local housing authorities and a project-based system that incentivizes construction of multifamily affordable housing by the private sector. Complicating things further, some low-income properties incorporate several of the above housing types into one building behind a single electrical meter. Of course, these programs may be insufficient to fully meet the needs of the low-income neighborhood. In Colorado, for example, of the 45 housing authorities that offer Section 8 vouchers, only four have an open waiting list. As such, many low-income households may be paying market rates for electricity that are likely beyond their means. Because HUD directly or indirectly pays the utilities for a large portion of subsidized housing, there is often little incentive for local housing authorities to take the risk of investing and making a long-term (20-year) commitment in cost-reduction technologies (solar and efficiency measures). The savings would pass through to HUD and not be retained by the housing authority or the tenant. A similar challenge often exists with Section 8 housing that’s owned by third parties -- participation in the Section 8 program requires a cap on total housing-related expenses, including energy costs, which a resident is required to pay. If energy cost-reduction measures lower electricity payments, for example, the building owner could raise the rent, so long as the total affordability cap is not violated. In addition, there are LIHTC properties that are owned by partnerships, and the utilities are generally paid for as an operating expense out of the partnership's budget (without any support from HUD). The largest LIHTC properties may have hundreds of units in them and are master-metered (a single meter for the entire building). This means the roof space cannot support enough solar to meaningfully cut into the electricity bill, making it difficult to allocate the benefits back to the low-income tenants. Two specific policies that have proven to be helpful include HUD’s Energy Performance Contracting System and HUD’s Rate Reduction Incentive Program. Third-party power-purchase agreement: To overcome some of these disincentive barriers, DHA came up with a win-win solution. In 2012, DHA entered into a power-purchase agreement (PPA) focused solely on public housing, which narrowed and simplified the subsidy structure. The PPA was financed, owned and maintained by a third-party provider, which then sells the electricity to the DHA. The project included a combination of roughly 660 solar systems, equating to a total capacity of about 2.5 megawatts. To share the utility savings generated from the PPA between DHA and HUD, DHA pays a lower utility rate, of which HUD retains the savings by providing less utility subsidies to DHA. In addition, DHA leases its rooftops to the PPA provider, retaining some of the savings through rental income. Community solar: Another solution to these barriers is turning to an innovative community solar concept. DHA recently closed on financing a 2-megawatt system that will be built by Namaste Solar. 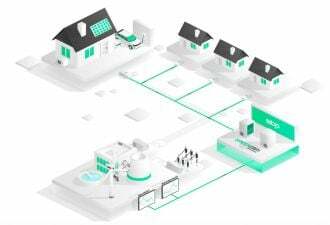 DHA is the developer, owner and subscriber of the garden, and partnered with Grid Alternatives and other industry experts, to assist in navigating the complex utility policies, financing structures and allocation of benefits. In addition, Xcel conducts a competitive RFP for renewable energy credits from community solar projects. Bid evaluation factors include "level of low-income subscribership" and "innovative proposals that benefit low-income subscribers throughout the life of the contract." This helps encourage projects, like DHA’s, within the community solar program. To support the long-term financing of the system, DHA had to act as the counterparty to the deal. It committed to subscribe the 2-megawatt system in its entirety or pay the financing partners in lieu of PPA payments. The system was sized and the PPA rates were designed in order to produce a 20 percent savings on electricity costs. Jedd’s advice to solar developers trying to play a part in this opportunity is to “thoughtfully think through the subsidy structures to optimize benefit flow and minimize risk.” In addition, local champions within the housing authority are key. DHA and larger housing agencies generally have staff, like Jedd, as dedicated energy managers. The agency’s chief financial officer will also be a key stakeholder, so reach out to her early in the process to explain how the cost reduction benefits can allow for expansion of their mission to provide affordable housing. Advocacy is also a key component. DHA has collaborated with local stakeholders and Xcel Energy to expand opportunities for affordable housing inclusion in community solar. Through a recent renewable energy planning proceeding in Colorado, Xcel specifically included nonprofit affordable housing providers in new, dedicated community solar programs that serve low-income customers, and will solicit bids for almost 20 megawatts of such projects through 2019. Other states, like Massachusetts, offer adders for low-income inclusion in community solar projects. These policies are essential to ensuring that low-income customers and affordable housing providers will continue to benefit from community solar programs. California recently approved $1 billion for its Solar on Multifamily Affordable Housing program. The Solar Energy Industries Association is also currently working on model community solar master, and individual, subscription agreements with leading law firms, developers and other stakeholders. These documents incorporate much of experience gleaned via the DHA Community Solar case and will be available to the public so the proverbial wheel doesn’t need to be reinvented each time. Mike Mendelsohn is senior director of project finance and capital markets at the Solar Energy Industries Association.